Before we take down the lights, and sweep up the pine needles, and cash in those gift cards, and visit the exchange counter at Macy’s…the church gives us one more Christmas blast. This feast: Epiphany. The word means “manifestation” — it is God becoming manifest to the world through his son Jesus Christ. Every year on this feast, we encounter a story that really defines Christianity – the story of pilgrims on a journey. We meet the magi—outsiders, Gentiles, coming in search of the king. 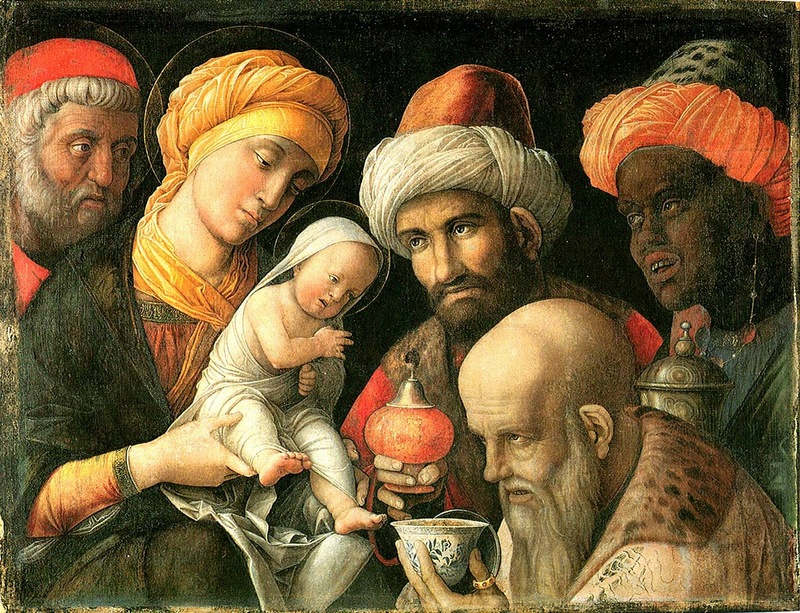 The story of the magi is one of the more mysterious in the New Testament. The gospel doesn’t tell us how many of them there were; one early Christian tradition actually told of 12 astronomers making their way to Judea, presumably paralleling the 12 tribes of Israel and, of course, the 12 apostles. But somehow – probably because of the number of gifts mentioned – the number over the centuries dwindled to three. Matthew’s gospel is the only one that even mentions them. We really don’t know much more about them, except that they were searching for Jesus. As I like to tell people: their visit to Herod is the last time in recorded history that a group of men stopped somewhere to ask directions. But that searching, I think, is what their story is all about. Like so many of us, they are on a quest. The magi come into history asking a simple question—but it may be one of the most important. It is a question seekers are asking even today. Where is Christ? In a world so often shrouded in despair, where is hope? As the magi discovered, Christ may not be where you expect. Today, you will find him, for example, in the very land that tradition tells us was home to the magi – Persia, or as we know it, Iran and Iraq. In Iraq, you will find Christ. You will find him in the quiet and courageous ministry of the Dominican Sisters of St. Catherine of Siena, who fled their convent in Mosul in the middle of the night last August, as ISIS was approaching. Today, living out of nothing more than a tent, they patiently and prayerfully serve hundreds of refugees in Erbil, Iraq – providing medical care, finding homes for the homeless, teaching the children, giving hope to the hopeless. You will find Christ in the countless Iraqi Christians who hold fast to their faith in the face of suffering and hardship. Where is the newborn king of the Jews? You will find him in Los Angeles, in the ministry of Fr. Gregory Boyle, the Jesuit founder of Homeboy Industries, where he is teaching gang members how to bake, and clean, and cook, and balance a budget and run a business. Where is the newborn king of the Jews? You will find him in the work of Leah Lebresco – a young woman, a Yale graduate, who was an avowed atheist, and proud of it, but who two years ago by the grace of God was baptized a Catholic and has just written a book about, of all things, prayer. You will find him wherever the hungry are being fed, wherever the grieving are being consoled, wherever the forgotten are being remembered in his name. You will find him here, at this altar, in something as small as a crumb of bread. You will find him—as the magi did—anyplace where light dispels the darkness. All these days after Christmas, we may think all the presents have been unwrapped and it’s time to get on with our lives. But think again. This day brings us something more. Epiphany is the feast of gifts—but there is more than gold, frankincense and myrrh. And there is the enduring gift of faith. The magi left gifts with Jesus, but I don’t think they went home empty-handed themselves. They carried their encounter with Christ in their hearts. So should we. We shouldn’t let the spirit of this season get tossed to the curb with the Christmas tree. These weeks, we have celebrated Christ coming into our world and into our lives. The challenge before us is keep that reality alive—to keep the star shining. The incarnation didn’t end 2,000 years ago. It goes on, every day, in every one of us. We are called to be Christ to one another. Look around. And look within. And let this gospel today stand as a reminder of what we have been given —and more importantly, of what we need to do. The magi were among the first to seek Jesus. As we begin this new year, pray that those who are seeking Christ today may find him, somehow, in each of us.